Once again, I am always amazed at coincidences that happen from day to day. In the final module for the professional development course I am facilitating this semester at UVM, we are focusing on literacy leadership and advocacy. Part of the required reading and discussion has centered on developing PLNs for professional practice. For teacher librarians in the field, PLNs are critical for keeping current and for communication and collaboration, and they also provide opportunities for advocacy. Personal Learning Networks are lifelines for staying connected in this wild Web 2.0 world. Establishing a PLN enhances professional development, lifelong learning, and opportunities for collaboration, locally, nationally, and globally. It’s especially important for those of us in the profession who are sole practitioners in a building, or even serving multiple schools in a whole district. A PLN has potential as a support system for anyone who wants to reach out and converse and collaborate with other folks who have similar interests and challenges, and may have different views to share. Getting back to the coincidence I mentioned, as I was polishing off the module and preparing to post it to the Blackboard site, the mailman delivered the November/December 2012 issue of Knowledge Quest. To my very pleasant surprise, the theme for the issue was “Personal Learning Networks.” I quickly added it as a resource for the module, and what a resource it is! Not only does the print issue offer a range of articles that cover a variety of possible advantages of using PLNs in professional practice, but the links on the AASL website provide lots of other resources to explore. If you are a member of AASL (another reason to join), you have access to the print and online editions of the publication, support materials, webinars, and social networking sites. If you don’t belong, you can still have access to many of the resources online. Table of Contents: Check out the awesome articles in the print edition. There is a direct link for AASL members for the online edition, or if you have access to online databases through your school or public library, you can find KQ articles indexed in several of them. They are a gold mine. KQ Webinar-coming soon: “Making the Most of Professional Learning Communities” Tuesday December 12, 2012 at 7:00 PM EST. Fall is the time for conferences in the world of school libraryland. I chose to attend the School Library Journal Leadership Summit in Philadelphia. This was my second year attending this summit. Last year I met some wonderful school librarians from around the country that have now become my professional collaborators and friends. I find that this summit provides opportunities to learn from speakers and panels, as well as time to spend networking with and learning from other school librarian leader participants. The theme of the summit this year was “Advocacy and the E-Volution,” focusing on how technology and the needs of our 21st century students are transforming our roles within the school and our programs. Yet upon further exploration of speakers, panels, and their topics I found the Common Core was a prevalent theme as well in what they were calling “Librarians at the Center of the Common Core: Summit within the Summit” which immediately piqued my interest. As I tell my students every week I believe Common Core is a huge opportunity for school librarians to collaborate, teach, and demonstrated their value in the educational process. I found this year that my take-aways from this summit were varied and somewhat conflicted. As usual for me at any conference, I always seem to get the most out of the real-world school librarian speakers. I am drawn to the practical – what is working out there for people and what is not. I especially enjoyed hearing the energetic MIchelle Luhtala from New Canaan High School Library talk about her role in technology and how they are dealing with BYOD as this is an hot topic right now and I find myself very concerned about the digital divide aspect. But it was the second day of the summit where the focus was on the Common Core that interested me most. The day began with a focus on “Nonfiction at the Forefront of the Common Core” with a panel of authors taking about their works and making the connections to the Common Core. They each spent time explaining why nonfiction is such a valuable tool in learning and talking about ways that school librarians could collaborate with teachers in this aspect of the Common Core, some ideas included: using authors as models of research and writing, making the connection to primary sources and drawing evidence from them, balancing and teaching perspective within a text, comparing and contrasting, and art in conveying meaning. Also the Coordinator of School Library Programs & Partnerships in New York City, Melissa Jacobs-Israel, spoke about how school librarians in NY are working together to address the Common Core and how it can directly tie to the AASL Standards – as she said “This is what we do!” I agree wholeheartedly with her sentiment in that when you sit down and really look at the Common Core a great deal of it is what we teach as school librarians and this is also illustrated in the AASL Common Core Crosswalk. This is a chance for school librarians to step up and take on a leadership role to be proactive in collaborating with teachers to plan instruction and co-teach. Yet even at this conference of school library leaders I still heard other participants who just still don’t seem to get it. I heard whining about the Common Core and having to teach to the standards. I guess I am still amazed in that as much literature that has been devoted to this topic, the time spent making connections for school librarians to what we do to the Common Core, and the collaborative efforts of so many school librarians, that there are still people struggling to see that this is indeed an opportunity for school librarians. So I wonder: What are you doing in your schools to to utilize the Common Core as an opportunity to step up to lead and be proactive in collaborating with teachers to plan instruction and co-teach? October was a whirl of a month that ended with a mega storm that swept me off course for a couple of days. I finally feel like I have landed and have some time to pull together some of the big ideas I heard at the AASL Fall Forum, the Institute on Teaching and Mentoring and the Virginia Association of School Librarians (VAASL) Conference. Audrey Church, Gail Dickinson, and Ann M. Martin gave the keynote address at VAASL on leadership. Each provided an overview of their journey and cited theories that had inspired them. Reference was made to Stephen Covey’s Seven Habits of Highly Effective People that struck a theme tying together one of the big ideas related to collaboration that I have culled from all of these events: Seek first to understand and then to be understood. And a related correlate: when someone else is speaking, are you really listening, or are you waiting for a turn to speak? The Institute on Teaching and Mentoring, sponsored by The Compact for Faculty Diversity was an amazing gathering of minority doctoral students, mentors and faculty. The purpose of the Institute is “to provide scholars with the skills necessary to succeed in graduate study and to prepare them for success as faculty members at colleges and universities.” Several sessions were offered for faculty mentors, and in one: “The Internationalization of Mentoring as an Opportunity to Challenge Cultural Assumptions” the presenter, Stacy Blake-Beard, Associate Professor of Management at Simmons College made the remark that we should practice “inquiry not advocacy.” Since inquiry and advocacy are two major buzzwords in school librarianship, I was struck by her meaning. Dr. Blake-Beard was talking about cross-cultural understanding and I would argue that this is a productive way for school librarians to approach collaboration with teachers: as bridging the two cultures of the school library and the classroom. Diversity strengthens an organization because it provides for a much richer approach to problem solving and decision-making. Collaboration is different from cooperation because it doesn’t seek to smooth over our differences but rather to leverage these differences. This is particularly important when we are attempting to solve complex problems; and education is a complex problem. As we struggle to create a “culture of collaboration” in our schools, we should first seek to understand (inquiry) rather than to be understood (advocacy). Judy Kaplan has provided an outstanding overview of the packed AASL Fall Forum on Transliteracy. One of the exercises that we did at our tables led by Barbara Jansen and Kristin Fontichiaro was to brainstorm possible questions that we might use in planning with teachers. Jansen provided the example of asking teachers if they were concerned that a particular assignment might encourage students to copy and paste. Asking this as a question invokes inquiry rather than advocacy, and provides a space for teachers to reflect on the purpose of their assignment and to possibly engage in a conversation about improving the assignment. This question doesn’t require that the assignment be abandoned. It might be that the teachers and librarian would decide to front-load this assignment with explicit instructions about how to take notes, give attribution to sources, and synthesize. Or, the assignment might be altered to become more creative and to encourage students to develop a product that is unique and individual. The question asks everyone to pause and consider alternatives without passing judgment. Jean Van Deusen (1996) found in her case study of a school librarian collaborating with teachers that the school librarian provided leadership as an “insider-outsider” and that she asked challenging and often naïve questions that provoked thoughtful reflection on practice. As a practicing school librarian, I always took advantage of this position as an outsider to the classroom. I could ask questions like “what does that look like in your classroom?” or “what does this standard mean for second graders?” or “how have you taught this before?” Some questions led to deep discussions about student learning and assessment such as “What does this standard really mean?” “What do we want students to be able to do at the end of this lesson?” or “How will we know they have learned that?” Other questions led to co-teaching or sharing the work of delivering instruction. “Could we do that better if there were two of us? “ “Suppose I take half of your class while you take the other and then we swap?” “Would that be better with small groups?” Sometimes questions helped to integrate instruction. When teachers and I were trying to plan a lesson in science or social studies, I would often ask, “What skills are you going to be teaching in writing (reading, math)? Often I could find a book or other resource that met objectives in two or more content areas. “Inquiry not advocacy” also suggests that we carefully listen to the answers. Inquiry is about more than asking good questions; it is about seeking understanding from diverse sources. In collaboration with teachers, inquiry involves listening to teachers as they talk about the diverse needs of their students, the meaning of their curriculum, and the nature of their practice. For brand new school librarians, or school librarians who have moved to a new school, this is good news. You don’t have to have the answers and you aren’t expected to know how things are done in this teacher’s classroom or in this school. You can ask the naïve questions and you can spend time listening and observing. Those of you who have been in a school for several years can still take this position as new initiatives/standards/textbooks are adopted, as new teachers join the staff, and as every school year starts anew. First, seek to understand rather than be understood. It’s not only good inquiry, it’s good mentorship, and good leadership. Are you attending the National Council of Teachers of English (NCTE) Conference in Las Vegas next week? If so, we hope you will attend our session. (Specifics below). Presenters will be coteaching teams from each instructional level—elementary, middle, and high school. Here’s our description. Ignite student learning with collaboratively-designed and cotaught lessons and units of instruction! When classroom teachers and school librarians join forces, they create resource-rich, inquiry learning experiences to impact student achievement. Coteaching also offers educators the benefits of job-embedded professional development. Let us share how everyone wins on these successful teams! Coteachers positively impact student learning and build a culture of collaboration in their schools! Saturday, 11/17/12 from 9:30 to 10:45 a.m. These are the five roles Ms. Fontichiaro identified for school librarians. I am wondering how many of these roles you perceive of as germane to building a culture of collaboration. Featherwolf. 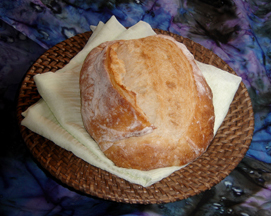 “Mybread03.jpg.” MorgueFile.com. 07 Nov. 2012. <http://www.morguefile.com/archive/display/79180>. 21st-century school librarians post a fine collection of book trailers, extensive pathfinders, online tutorials, and other resources, and student learning artifacts online in order to serve their learning communities 24/7. These curation activities provide 21st-century resources to support school library collection development. In the “flipped” library, school librarians provide students and teachers with support they cannot get learning from home or in their classrooms without the aid of their school librarian. School librarians can provide students with explicit modeling for reading comprehension and inquiry learning. 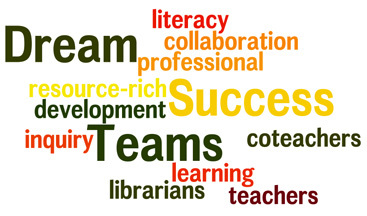 School librarians serve as coteachers who strengthen the work of their colleagues in monitoring student learning, assessing outcomes, and developing expertise in instruction.